Day two of CakeFest consisted of more talks. 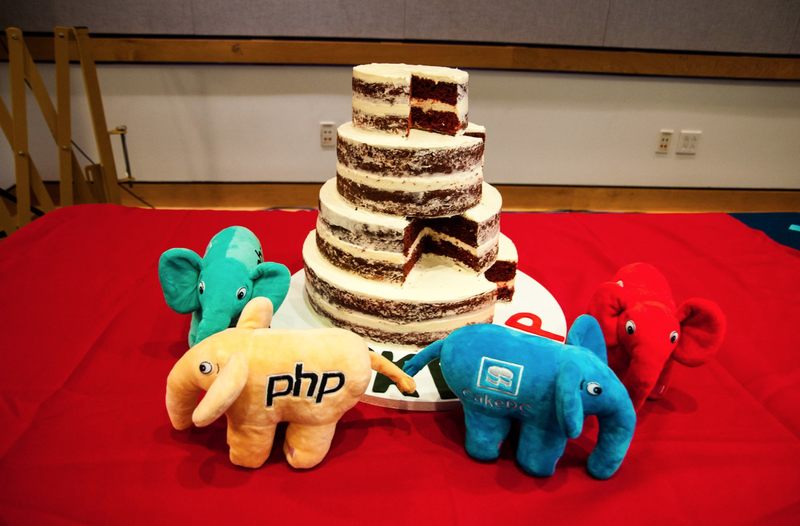 Several speakers took to the stage, and Mark Story revealed plans for the future of CakePHP. Check out our recap of Day One to learn about the talks that happened on the first day. Heather White talked about Stepping Outside Your Comfort Zone: Learning to Teach. She spoke about the different ways of learning. She also talked extensively about adult learners. Mark Story talked about CakePHP 3.4 And The Path To 4.0.0. He talked about the team working towards typehinting and splitting modal methods in 3.2.x to 3.4.x. He mentioned that in 4.0 there would be PHP 7.1 support, support will be dropped for PHP 5, strict typehinting, and deprecation cleanup. His session reveals so many things about how CakePHP has transformed over the years and what the public should expect to see in future releases. Viraj Khatavkar talked about Testing For People Who Hate Testing. He evangelized the test-driven development approach (TDD). Furthermore, he live-coded a blog on stage by using the test-driven approach and made testing seem very easy to the attendees. Great session! Legendary Femi Taiwo talked about Building for a Million Transactions Per Hour. His talk was based around the 2015 Nigerian Presidential election case study. His team had 24 days to learn, design, develop, and deploy an election based application. Learn how his team succeeded despite the short notice and how they scaled to accomodate the large Nigerian population. Mariano Iglesias talked about Machine Learning: one step closer to J-Day. Mariano talked extensively about Machine Learning and its application to our every day life. The Core CakePHP team came on stage for a lively session of Q&A. It was informative and also hilarious. Check out the Q & A session here. Finally, the conference ended with the cutting of the Cake. 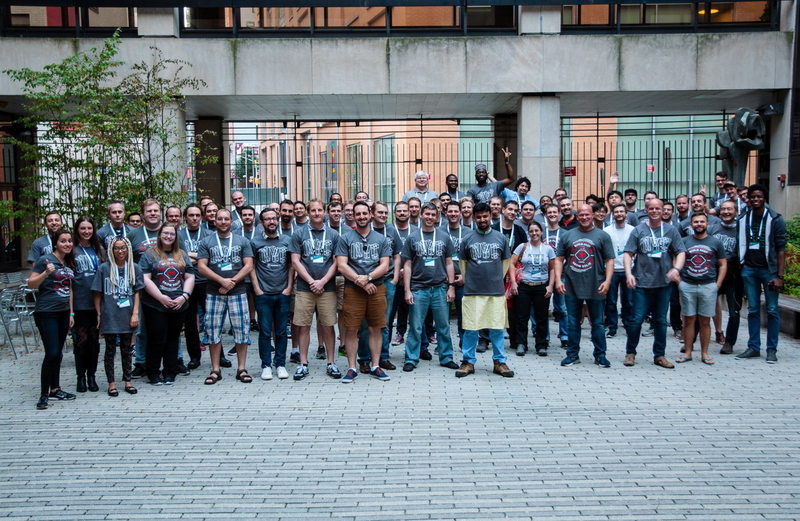 Larry Masters has announced that next year's CakeFest will happen in Nashville. The final day of CakeFest was amazing. The speakers were great, and the sessions were lively and very informative. Kudos to Megan and the team for organizing such an amazing event. If you are new to CakePHP, check out this excellent tutorial that introduces you to the framework and teaches you how to create your first app as well as add authentication to it.